Let’s start by sewing the bust darts on the front bodice. 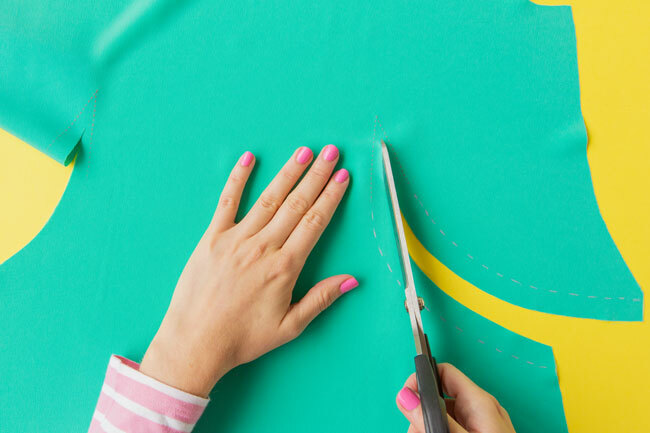 We’ve marked the top of the dart stitching lines on the pattern – transfer these markings to the wrong side of the fabric if you haven’t done so already. The rest of the stitching lines will be 15mm (5/8in) from the raw edges of the dart cutting lines. You can line up the raw edges with the seam allowance guide on your machine, but you might find it helpful to mark these lines in too. 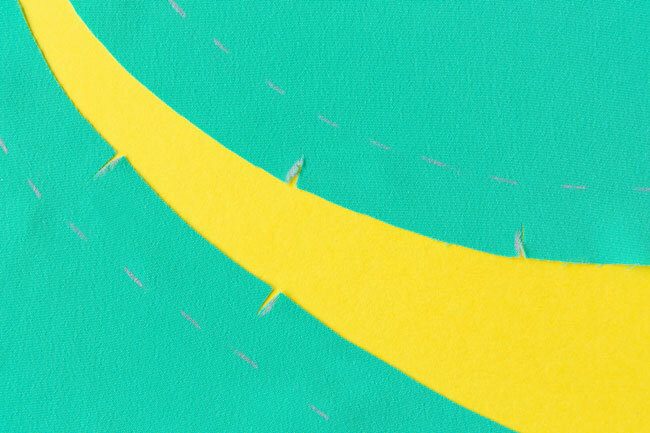 I use a little strip of paper marked with a 15mm (5/8in) line to do this – read more about marking in stitching lines. Clip from the tip of the cutting line to 10mm (3/8in) below the tip of the dart marking. This will make it easier to sew and press the bust darts. Don’t be tempted to snip right up to the tip of the dart marking or your dart might split open at a rather unfortunate place when you wear the top – yikes! The stitching lines (15mm or 5/8in in from the edges) should match up, while the seam allowance on the lower edge may look a little ripply. Some fabrics will be easier to (ahem) ease together than others. 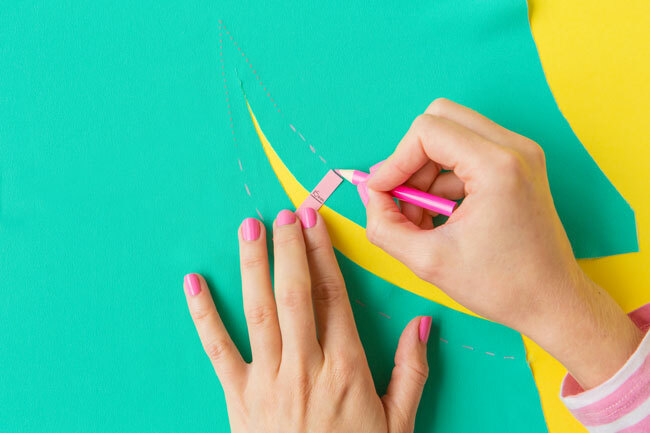 If you’re struggling to pin the curves together, you can clip short lines – up to 10mm (3/8in) - into the lower edge of the dart at right angles. This will spread open the seam allowance and make it easier to match up the stitching lines. Stitch each bust dart from the outer edge, back tacking at the beginning, sewing off the tip and tying the loose threads by hand. Take your time to avoid any puckering in the stitching, keeping any rippling along the seam allowances subtle and even with your fingers. Trim the seam allowances to about half their width (not too much) along the cut edges, leaving the fold of fabric at the tip. 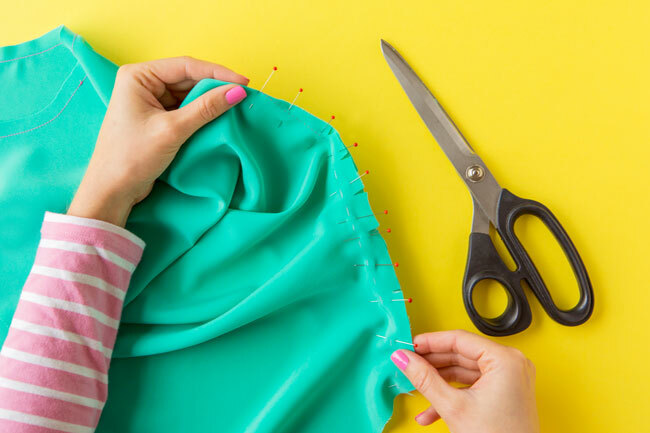 Place a tailor’s ham or tightly rolled towel underneath the fabric, then press the darts down down, on both wrong and right sides, steaming the darts into a nice curved shape. 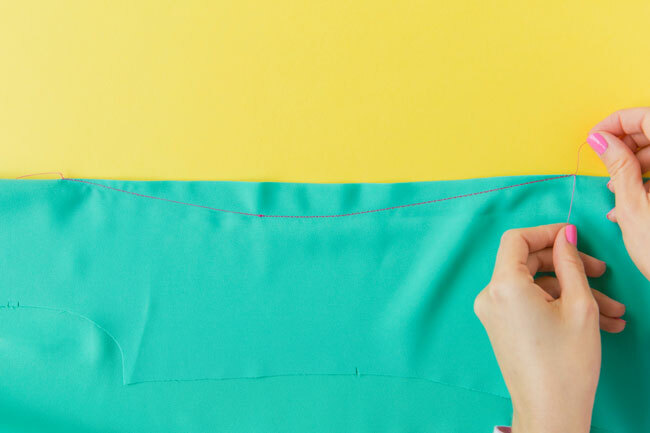 This is basically a test – if the fabric presses well, you can finish the seam allowances together, using zigzag stitch or an overlocker, and them press down again. 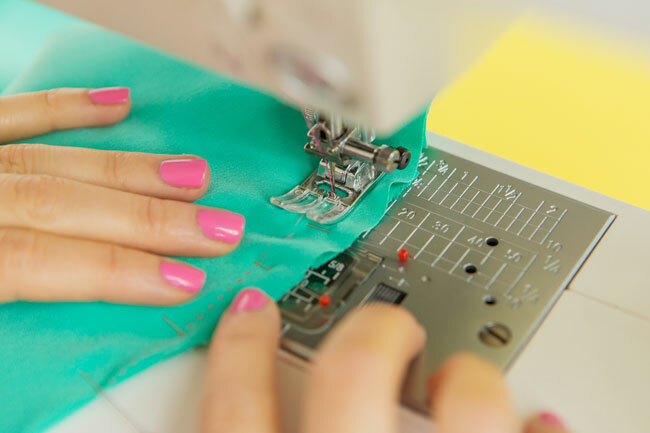 If you find that the fabric doesn't press into a nice curve with the seam allowances together, finish the seam allowances separately, then press them open. It’s fine to do this, but it’s good to try finishing and pressing them together first as it looks neater and is less awkward to finish the tip of the dart. That’s the bust darts done. To make the back darts on the back bodice, fold the fabric right sides together, bringing the dart lines directly on top of each other. Pin them together at either end and along the dart marking lines. 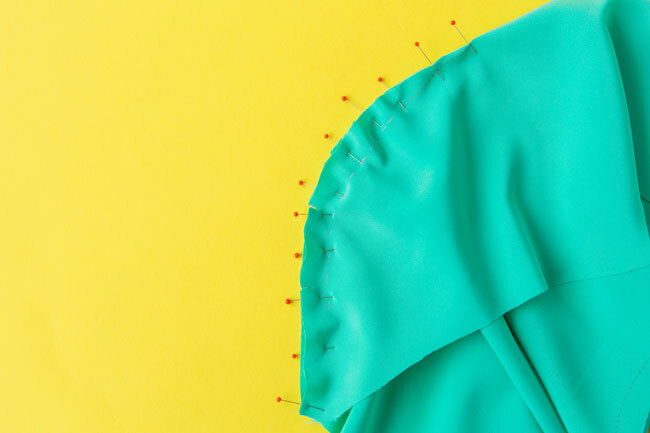 Take a look at the direction of the pins in the photo – if you pin them this way, you’ll be able to sew from the centre of the dart to each tip, pulling out the pins easily as your needle gets to them. 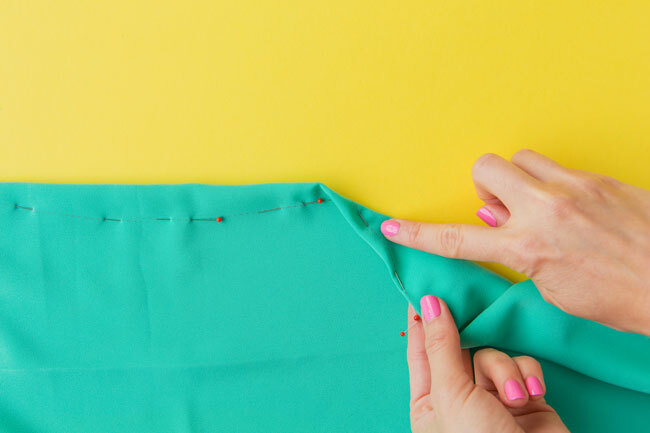 Check that the pins are directly on top of the lines on either side of the fabric – otherwise adjust the position of the fold. Once it’s all pinned nicely, press the fold. 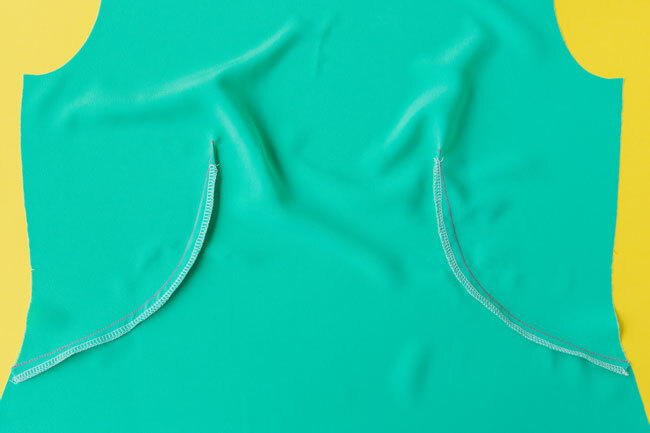 Stitch from the widest part of the dart towards one tip, then from the widest part to the other tip, sewing off the end and tying the loose threads together by hand. Press the darts towards the centre of the bodice. Finally, pin together and stitch the shoulder darts on the back bodice. Press them towards the centre. 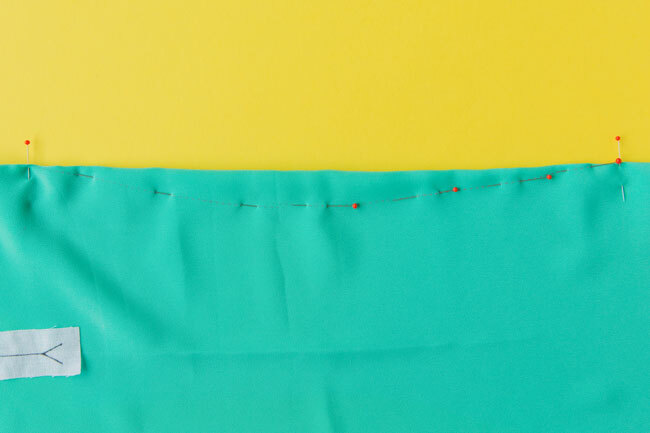 Set your machine to a longer stitch length (4mm), then tack (baste) across the top of each dart, 10mm (3/8in) from the neckline. 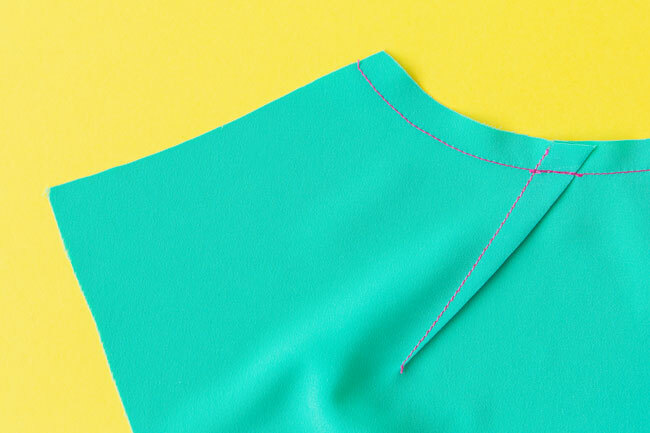 Remember you've also stay stitched the neckline earlier - don't confuse the stay stitching in the photo with the tacking which is just across the dart fold :) This will hold them in place so they don’t get folded the wrong way when we attach the neckline facing and collar. This post is part of the Orla sewalong. Order your sewing pattern and catch up on previous posts. 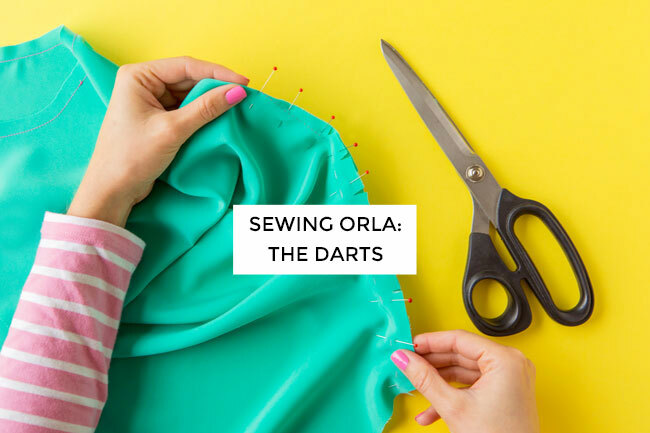 Introducing the Orla sewing pattern!